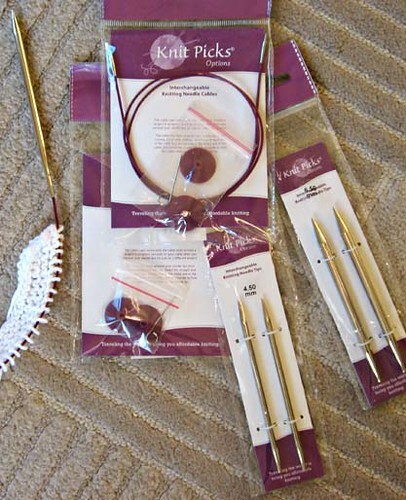 Today I received my Knit Picks Options Interchangeable Needles. Wow! WOW! They are so great! I love them. My knitting is more enjoyable now. I was so curious about them, the reviews on the internet are so various and different, but I love them. The cable is so soft and the needles are very light.